Aspen bark extract is a natural organic preservative and as such is a unique discovery as it is an effective natural replacement for commonly used harmful chemical preservatives such as the 'parabens'. It also improves the emollience of the sunscreen, which is the 'feel good' factor making the skin very smooth to the touch. The Populus tremuloides is also referred to as Quaking, Trembling or American Aspen and it originates in the northern and western areas of North America. The trees typically grow in vast colonies that originate from a single seedling. The trees' primary means of reproduction is via the sprouting root suckers (new stems) from the roots. Although the trees live on average between 40 and 150 years, the root system can survive for a considerably longer period of time. 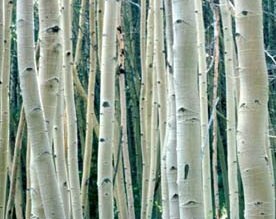 In fact an Aspen colony in Utah referred to as 'Pando' is said to be 80,000 years old, which would make this colony the oldest living colony. The Aspen's root system is capable of spreading approximately one meter per year and is therefore capable of expanding to cover an area of several hectares. 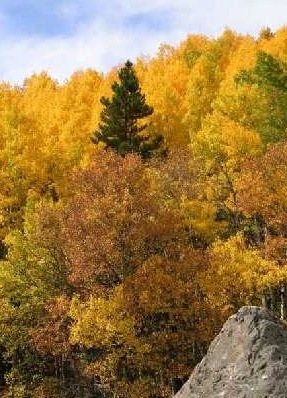 One reason for the tree's success is due to the ability of the colony to withstand fires. Although the trees may burn, the roots that are capable of sprouting new trees are safely below the fire's reach. Aspen bark extract is rich in salicylates that is believed to function as the plant's natural defence mechanism against invading parasites. These salicylates from the bark may also be used for medicinal purposes. Medicinal barks have been used as analgesics and to reduce fevers for centuries. Today, doses of 1 to 3 g of bark with concentrations ranging between 60 to 240 mg of salicylates is recommended as an analgesic for low back pain. These salicylates may be isolated as Aspen Bark extract and applied to cosmetic and personal care products as a natural alternative to traditional chemical preservative systems. The manufacturing method also allows it to be used as an ideal antimicrobial.